Rooting android with computer will always be a good choice to revitalize your device in terms of performance. That will be one of the key reasons for rooting android using a computer system. Other recognizable reasons are the need to lengthen the life of battery, automation of tasks to make it easy working with the device, improving the speed at which a device works under and installing must-try apps that help to make the device more efficient. 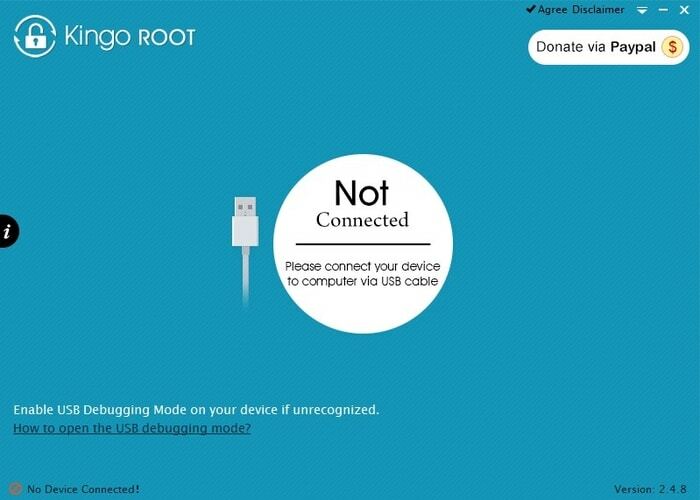 This article introduces 6 ways to help you root Android phoneon PC and Mac. When you have a PC, there will be a big number of software programs available in the market to aid in root android. Be very keen in your considerations to ensure you end up choosing the best ones. 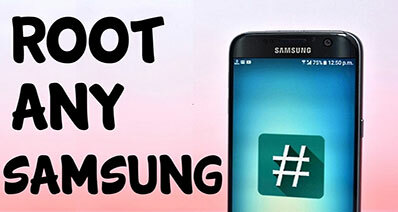 iSkysoft Toolbox – Android Root is regarded as the best software in the world for root android with computer and you should put it top on the list for your consideration. You will be able to do as much with this program since it is compatible with more than 6000 android devices. You can do rooting for any of the android versions in spite of the brand under which it falls whether Motorola, LG or Samsung among the leading market brands. •	Supports multiple devices. Read on Android Root Reference to check the supported Android device. 1. 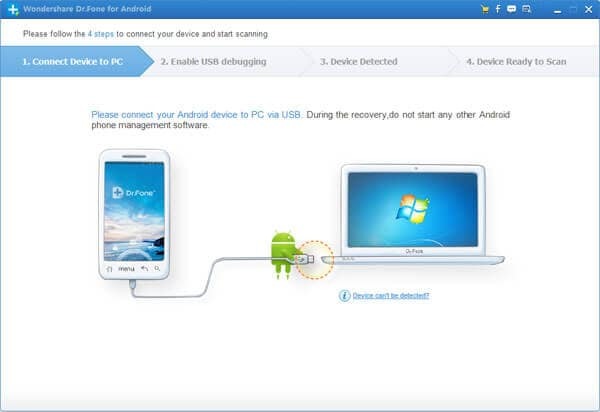 Download the Android root program on PC. Open it and connect your Android phone to the PC. Click "Root" option. 2. Click on the "Root Now" button to begin the process. 3. It takes very few time to finish the process. You will get the rooted Android phone very soon! If you are not clear with the process, you can read more details on Android Root Guide . Hope it can help you root your Android devices. Download the Android root program here. Kingo is yet another of the software programs that will allow you to root android on PC with a single click. It has support for different versions of android so you will have no reason to worry about compatibility. For many years, it has been tested and proven to be good for android rooting so you will be using something that has a guarantee for delivering good results. 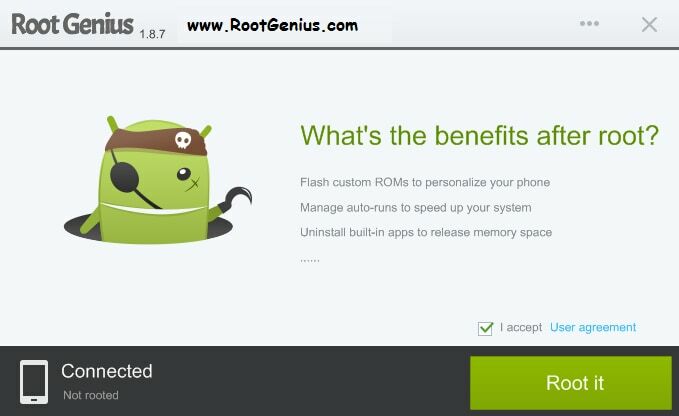 Root Genius program gives the best suggestion about its suitability for root android with a PC. It’s very smart in the way it works and it’s a product of the great minds of China. 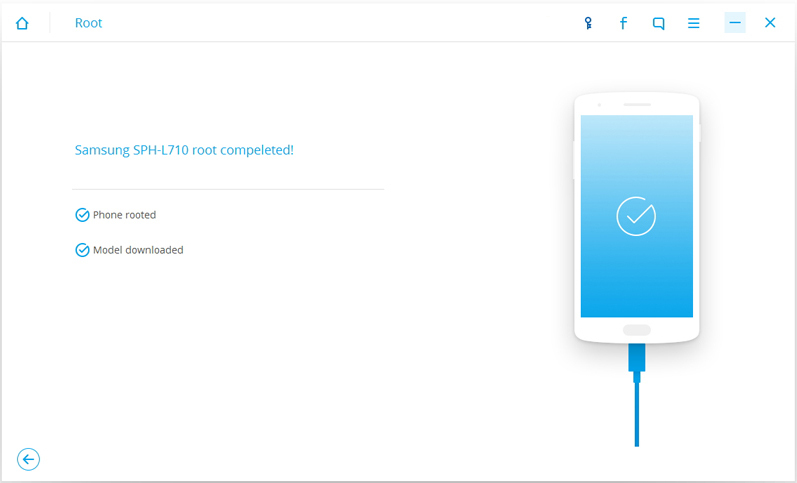 When you have it installed to your computer, Root Genius will make root android to be fast, easy and simple. You will have an unforgettable user experience. If you have a Mac, you will have a lot of options to consider in performing root android for your device. The experience you end up having will be determined by the type of software program that you settle for. In making the right choice look at the exact features that every program comes with together with its pros and cons. That should be a guideline enough to ensure you make informed choices. 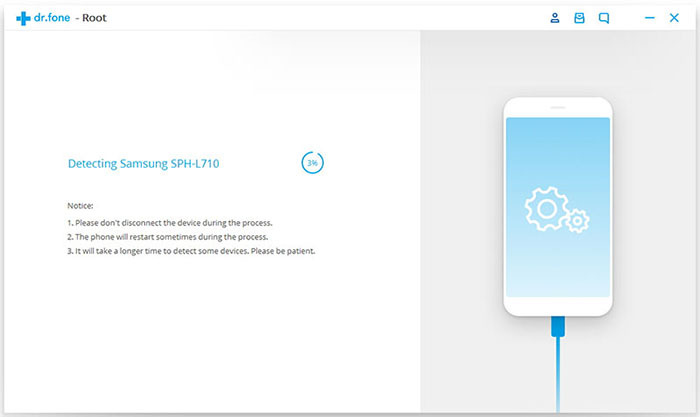 When you have this software program installed to your computer, you will be in for the best experience as far as root android is concerned. This is for the simple reason that it has support for very many file types including text messages, contacts, video and photos. It will give you unlimited options for recovering data so there is nothing to limit you or give you concerns. It is arguably best of the best programs in the market for data recovery. 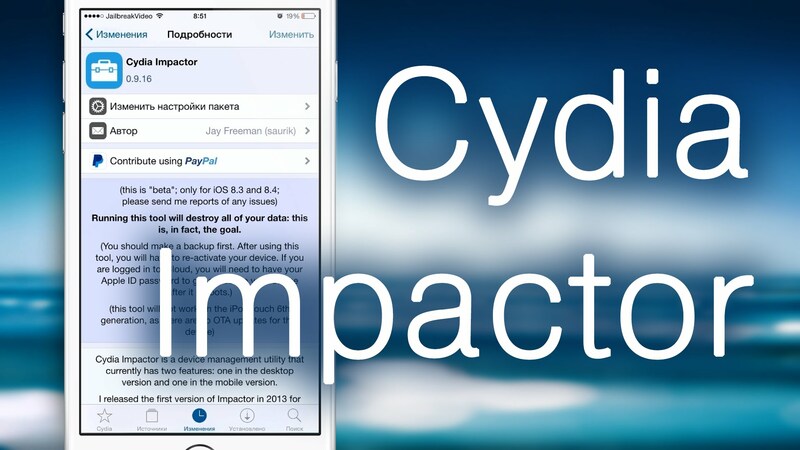 Cydia Impactor exploits the end-to-end vulnerability for “Master Key” to deliver world-class results for root android. 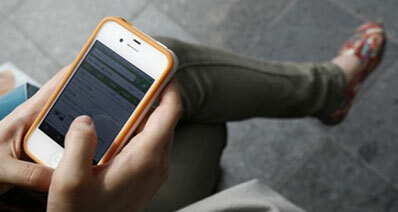 Through that, it will be easier gaining access to almost all android devices including tablets and phones. You will have to first download it and install to the computer which will take very limited time and effort. •	It is not compatible with certain versions of android like Huawei Ascend Mate on 4.1, Motorola Atrix 4D on 4.1.1 and HTC One on 4.2.2. 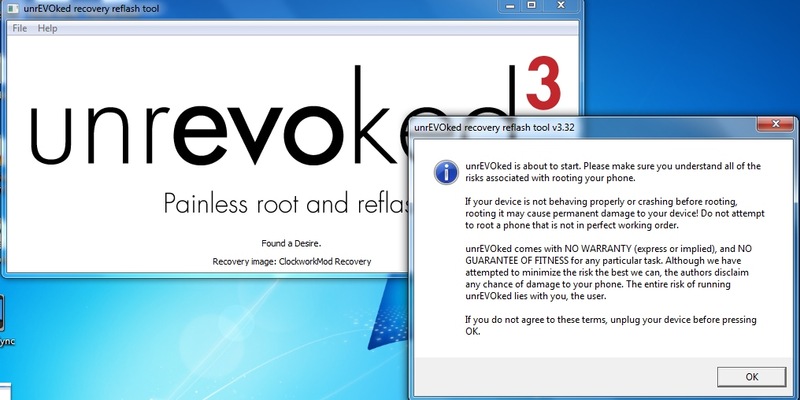 Unrevoked is another good alternative for root android on Mac. It is one of the many single click programs that will deliver instant results whenever you are rooting an android device. 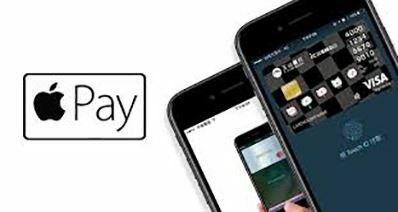 It is uniquely designed to work with multiple android devices thus there will be no concerns about compatibility. It supports very many file types and devices. All these options will be good for rooting android devices on both Mac and computer. You will have no excuse for not getting the best results. Prior to undertaking any rooting on Mac, it is important that you back up your data to take care of any eventualities. Bear in mind that your important data can disappear unexpectedly and you should not take chances with that. Also, your android device should be charged at least 90% before rooting.